In the fifteenth century, the Incas Pachacutec and Tupac Yupanqui built a huge empire in South America that ran from southern Colombia to central Chile and occupied much of the Andean territories of Peru, Bolivia, and northern Argentina. The capital of the powerful Incanato (kingdom of the Inca) was located in the city of Cusco, crossed by the Sacred Valley, a beautiful green belt between mountains, along the Vilcanota-Urubamba River. The Vilcanota River is sacred to the Incas, it is fed by the snowmelt of Veronica or Wacay Wilca snowy, a female mountain considered the “wife” of the Salcantay. At the end of a slope descending from the Salcantay, the Incas built the extraordinary Machu Picchu. The Sacred Valley was a kind of summer resort for Inca emperors, they came here to rest but also to defend themselves from their enemies. The monarchs’ live was so opulent that they left along the Vilcanota or Urubamba river a series of palaces of good living that will transport the traveler to a very impressive ancient world. It is believed that these fortress-citadels, combining ceremonial and defensive elements, were designed to produce devotion in the Andean neighboring populations, particularly to the Chancas, traditional rivals of the Incas. Adventurers, hikers, lovers of mystic tourism and enlightened travelers join the ranks of visitors to the valley. 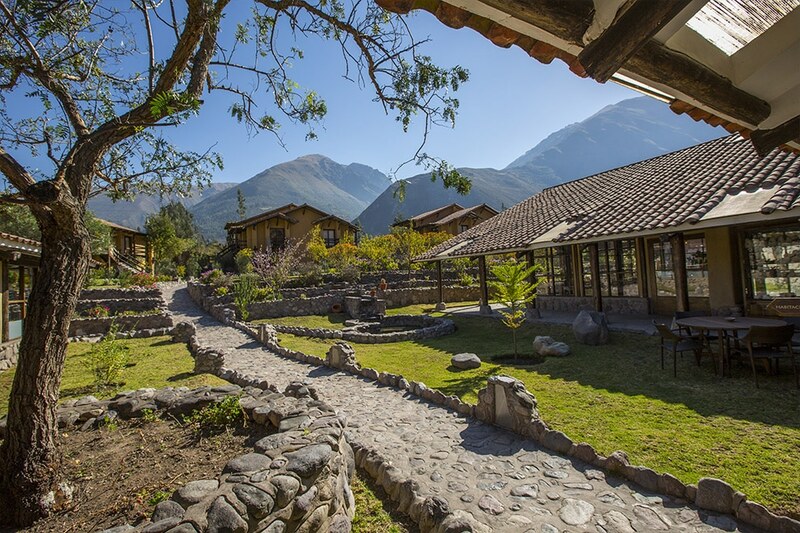 Here you eat delicious, see and revive the majestic history of the Incas, lay at the foot of the mountains and the sacred river or you can have extreme adventures: biking, trekking, canoeing, kayaking and climbing. Blessed by a warm climate, an imposing landscape and festive villages. All these wonders are the anteroom of the greatest wonder: Machu Picchu, the dream you come to make it true.